PM Modi informed the MPs about the dinner meeting at the BJP Parliamentary Party meeting and said he was doing so on behalf of Mr Shah who had gone to Meghalaya to attend the swearing-in ceremony of Chief Minister Conrad Sangma. 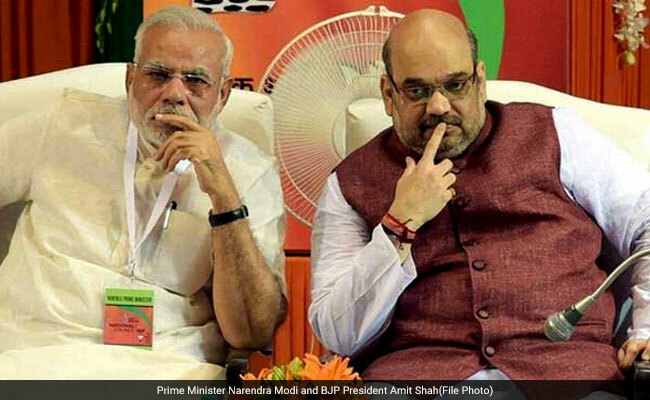 New Delhi: BJP MPs will have a dinner meeting with Prime Minister Narendra Modi and party president Amit Shah on Friday at the new BJP headquarters in New Delhi. Party sources said it will be an occasion for the MPs - 332 in total - to visit the headquarters at Deen Dayal Upadhyay Marg and interact with their leaders. The BJP is in an upbeat mood following its win in Tripura and impressive performance in Nagaland and Meghalaya. The party is keen to maintain the momentum for the crucial assembly polls in Karnataka, where the Congress is in power.